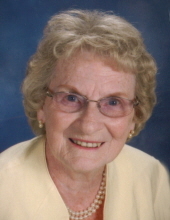 Lorraine H. Moeller, 90, of Waterloo, died Thursday, November 8, at Covenant Medical Center. She was born February 17, 1928, in Waukon, the daughter of Ambrose and Bessie Middlekauff McKernan. She married Robert Moeller on June 18, 1951, at St. Benedict Catholic Church, Decorah and he preceded her death on December 16, 1982. Lorraine graduated from Decorah High School in 1946. She was employed at Rath Packing Company in the office until 1952. She then was employed with Braley’s Fashion, Cook’s Department Store, and UNI Library and Placement office. Survivors include: her son, Nick of Waterloo; two sisters, Lavonne “Bonnie” Headington of Waterloo, Sandra (Dale) Headington of Decorah; a sister-in-law, Jan McKernan of Apple Valley, Minn; many grandchildren, nieces and nephews. Preceded in death by: her son, John; three brothers, Richard (Ruth) McKernan, Robert McKernan, and Tom McKernan; three sisters, Collen (Gordon) Danielson, Kathleen (Bud) Casey, and Dorothy Figueroa; brother-in-laws, Duane “Bud” Headington, Merle Hagen, Don (Isabelle) Moeller, and Richard (Hazel) Moeller; sister-in-laws, Dorothy (Harold) Mattox and Florence (Jake) Knavel; a niece and nephew. Services: 10:30 a.m. Tuesday, November 13, at Blessed Sacrament Catholic Church with burial in Mt. Olivet Cemetery. Public visitation from 4-7 p.m. Monday, November 12, at Hagarty-Waychoff-Grarup Funeral Service on West Ridgeway, where there will be a 4 p.m. rosary. Visitation also one hour prior to services Tuesday at the church. Memorials: may be directed to the family or Mt. Olivet Cemetery Association. Lorraine valued her friends of 40 years from Rath Packing Company and UNI Library, who were like her second family. Her son meant so much to her as being a loving and dedicated son and caregiver in her later years. To send flowers or a remembrance gift to the family of Lorraine H. Moeller, please visit our Tribute Store. There will be a 4 p.m. rosary. Visitation also one hour prior to services Tuesday at the church. "Email Address" would like to share the life celebration of Lorraine H. Moeller. Click on the "link" to go to share a favorite memory or leave a condolence message for the family.